Strumenti di stile per barche a vela! I nuovi strumenti i60 sono progettati per essere abbinati ai nuovi display multifunzione e-Series e c-Series Raymarine. Progettata principalmente per barche a vela, la serie i60 comprende gli strumenti Wind e Bolinometro in formato analogico e digitale. L’eccezionale angolo visivo per l’ottimale visibilità diurna e notturna e i semplici tasti degli strumenti i60 assicurano la massima facilità di lettura e utilizzo. Semplicissimi anche da installare grazie al montaggio anteriore. Gli strumenti i60 si abbinano perfettamente con gli strumenti dedicati i50, disponibili nelle versioni Speed, Depth e Tridata. Se volete di più dal vostro strumento i60 abbiamo la soluzione ideale: aggiungete alla rete un display i70. I nuovi strumenti i60 completano perfettamente i nuovi MDF e-Series e c-Series. 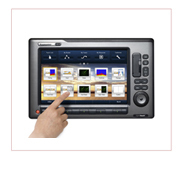 The i60 instruments are designed to complement the all new Raymarine multifunctional displays. Designed specifically for sailboaters, these stylish, dedicated-function instruments cover wind and close-hauled wind options in analogue and digital formats. Excellent viewing angles for both day and night conditions and simple, push-button controls make i60 instruments extremely easy to see and use. They are also simple to install thanks to the front-mount design. The i60 displays look great with the new i50 dedicated function instrument. The i50 is available with Speed, Depth or Tridata. If you require more from your instrument then adding an i70 instrument display to your i60 network could be the answer. 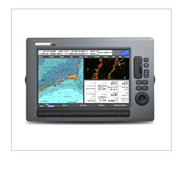 The i60 instruments compliment Raymarine's new generation MFDs to give you a great looking dash. Select the software update below depending on which Multifunction Display you will be using to perform the Remote Update. Please note if you have a G Series or a/c/e/gS Series you must check what version of software you have installed in the unit that you are using to perform the upgrade (We require the G-Series to be running latest software). For further information on this please click here. Some displays may suffer from excessive pointer motor noise. Software v1.06 reduces the PWM frequency of the Pointer drive circuit which intern reduces the motor noise to an acceptable hum level.